Lindsay Craig – Teaching Tech to Help Solve the World’s Problems « Adafruit Industries – Makers, hackers, artists, designers and engineers! Growing up in a small Massachusetts town, Lindsay Craig didn’t look up to sports stars or celebrities. His heroes were the likes of Nikola Tesla and Isaac Asimov. At age 36, one could now argue that Craig, better known as Linz to his friends, is a hero in his own right. Craig works tirelessly to make sure children, here in the US and as far away as Uganda, have access to technology. And, he takes the time to teach them the basic concepts of that technology. This is just part of the reason he was named the Design News 2017 Rising Engineering Star during the 16 th annual Golden Mousetrap Awards ceremony, held earlier this month in Anaheim, Calif., in conjunction with Pacific Design & Manufacturing. 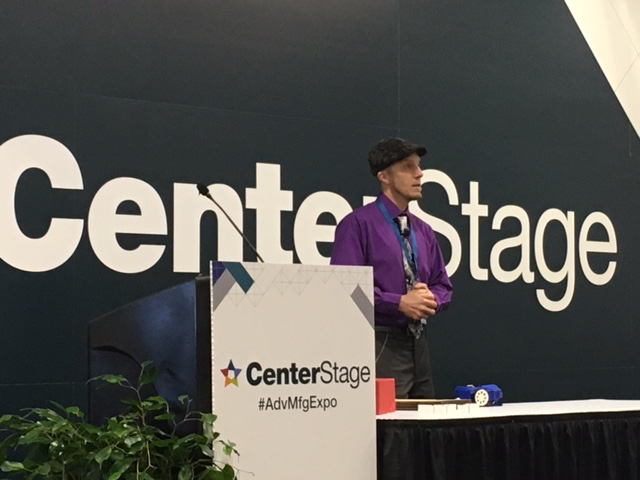 “The unmitigated joy on any kid’s face when they light up an LED is just absolutely amazing,” Craig said the next day during a Center Stage presentation on the show floor.